It may come as a surprise that this is my first time ever purchasing E.L.F. (eyes. lips. face) cosmetics. 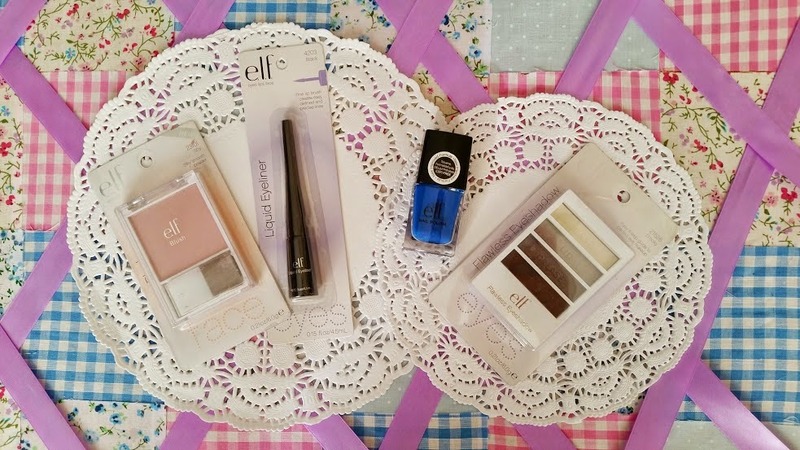 E.L.F products are featured regularly on beauty blog wishlists and reviews, their high quality, low price promise makes them very popular in the beauty world. I couldn’t wait to try them as I’ve had a lot of good experiences with low budget brands recently such as Revolution, Sleek and W7. With prices starting from only £1.50 I thought I’d give it a try and see if their products lived up to the hype. My first impression of the website was really positive. I was so excited to try their Complete Coverage Concealer (£3.95) or Maximum Coverage Concealer (£3.95) but unfortunately they were out of stock, as were a lot of their bestselling products. On the bright side I found a liquid eyeliner in black (£1.95), blusher with brush in Shy (£2.50), Flawless Eyeshadow Quad in Smoky (£2.50) and Nail Polish in Skinny Jeans (£2.50). 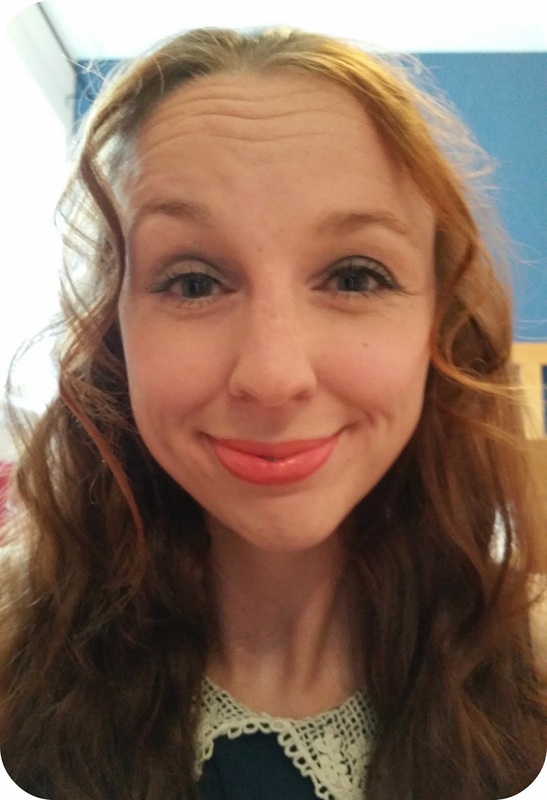 I was really impressed with my eyeliner, the fine brush tip glided easily and smoothly. The effect was long lasting and didn’t smudge throughout the day. I also found it easy to create both a natural day and dramatic nighttime look. For £1.95 this was a great bargain and i’ll definitely be buying this again! The blusher provided a lovely subtle pink glow to my cheeks. It was very subtle though, I had to build up a lot of this product in order to achieve a more even, visible coverage. It wasn’t very long lasting and I found myself topping it up quite frequently throughout the day, however at £2.50 I can’t complain as the colour was very pretty and a brush and mirror are included so reapplying wasn’t really all that inconvenient. As for the eyeshadow quad I had a tough time picking my favourite as I loved all their colour combinations, I played it save with ‘Smokey’. The eyeshadows were so easy to apply thanks to the step-by-step application guide and sponge brush included. The eyeshadow gave beautiful coverage, intense colour and long lasting staying power. I can’t wait to purchase this in Beautiful Browns and Party Purple. The nail varnish is really what I’d expect for the price. The brush had a few stay bristles which made applying a bit messy at first but I removed these easily. The varnish dried quickly and gave a lovely high shine. 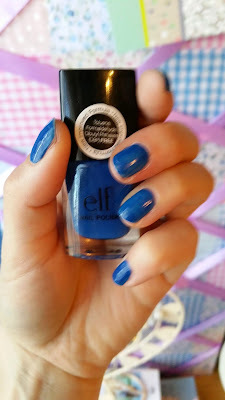 It chipped slightly by the end of the day but at £2.50 this was a lovely little addition to my nail polish collection. In the photo to the right I’m wearing the blusher, liner & shadows. 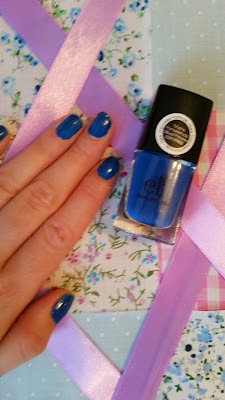 Overall I’m really impressed with the quality of my little E.L.F. shopping haul. I’ll order the eyeliner and probably the eyeshadow again. E.L.F. is only available online in the UK which may put off potential customers as ordering make-up online by judging from swatches and videos is always risky, but my experience so far has been exceptional! E.L.F. always have great offers and promotional codes available so keep your eyes open and you could get an even better deal! Let’s hope I’m lucky enough with my next E.L.F. haul to get hold of a few more of their bestsellers before they run out of stock again! "Review – Prima Christmas Makes Special Issue 5"
"Beauty | Birchbox – Happy Days Edition"